On of the Tool which United States Governments has used in recent decades to gets its objectives and change the minds of American people is Media Propaganda specially Television Media. TV Channels Like Fox News, CNN, BBC are used to spread baseless Propaganda and lies by US Governments but in recent years Many rivals of US Mainstream Media has came into existence which has successfully Counter these TV Channels. 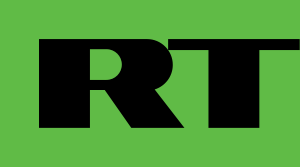 TV Channels like Russia Today RT, Press TV, Al Jazeera, CCTV are getting popular rapidly. Audience of these TV Channels is growing everyday which is a big threat for Mainsteam US Media. Recently American Secretary of State Hillary Clinton appeared before a congressional committee where she admitted that US Media is losing the Media war and more funds are required for spreading US Propaganda by creating more TV Channels. On other hand Internet Is another place where people like Alex Jones and Webster Tarpley are exposing the Lies and Propaganda of US Governments.